Summer months usually involve spending time with your family and friends and hanging out on the beach. Not too many people are thinking ahead to cleaning and getting their home back in shape after a fun and busy summer. Utilizing professional cleaning services is an excellent idea when it comes to getting your home clean and organized post summer without ever having to lift a finger. Did you know that your health will benefit from having your carpets cleaned by professional cleaning services? Depending on where you live, the heat, humidity, pests, and dust can make a big impact on the air quality in your home. Having your carpets professionally cleaned can help minimize the negative effects. Summer brings with it more foot traffic, which translates to more dirt and sand being tracked into your home and ground into your carpets. Who knows what the kids and the dog are dragging in after a day of playing in the summer sun. Vacuuming daily is a must for the average family, especially if you have pets but that will only remove debris that sits on the surface of your rug. Professional cleaning services can help you remove far more irritants from your home which lie deep in your carpet. There are professional cleaning methods which remove far more than traditional methods do and they use allergen free products with small amounts of water for a thorough clean that will leave your carpet dry and grime free. Don’t be fooled if your carpet doesn’t “look” dirty. If you haven’t had your carpets professionally cleaned in six months or more it could be full of unseen pollutants that lurk deep in your carpet that regular vacuuming alone will not remove. Have you noticed that you’re snoring more or that your allergy symptoms have picked up? Miniscule bugs leave behind waste that can trigger allergies and you wouldn’t even notice them in your carpet. By using a professional cleaning service to remove all these unseen creatures, you will be breathing and sleeping better all summer. Do you live in an area that is typically humid? In high humidity areas like the shore, dirty carpets are at a risk of developing mold growth when they are exposed to moisture. Sometimes, during rainy weather, moisture will get tracked into your home and it can sink deep into the carpet fibers if it is not dried and vacuumed immediately. After a summer of thunderstorms, it would definitely be in your best interest to have your carpets professionally cleaned. 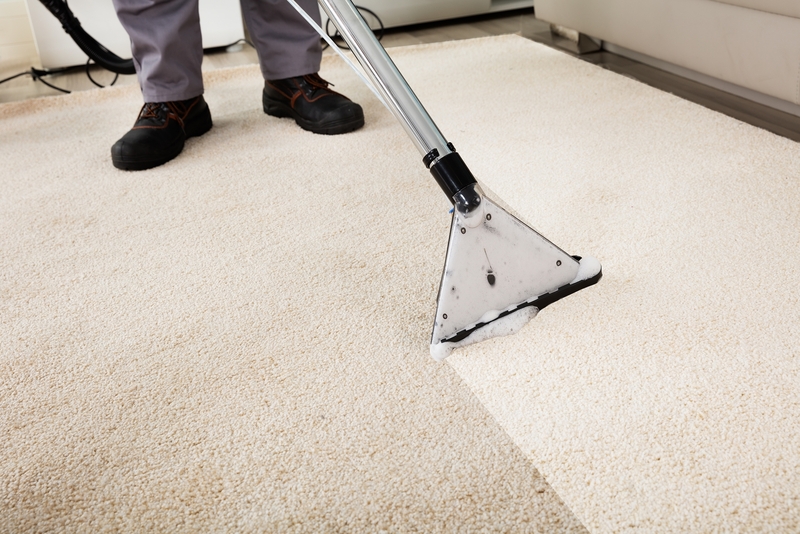 Cleaning your carpets regularly will prevent mold and mildew from growing. Because professional cleaning services have high powered drying tools, they will be able to thoroughly remove moisture. If you can eliminate moisture, you can prevent mold and mildew growth which will eventually be detrimental to your health. Towards the end of the summer, hardly anyone is in the mood to get their home back into shape for the upcoming fall. Hiring a professional cleaning service is an excellent idea when it comes to getting your home clean post summer without ever having to lift a finger. Avoid that time consuming back-breaking work by hiring a professional cleaning service and getting the job done right the first time. Always Immaculate is here to help. We are a full-scale cleaning service powered by an experienced team that will get the job done to your satisfaction. Take a look at our services to see what we can do for your home, or contact us today to schedule your free in-home consultation.